Magnetic Chalk Board Magnetic Material Used. | Title Display System Pvt. Ltd. 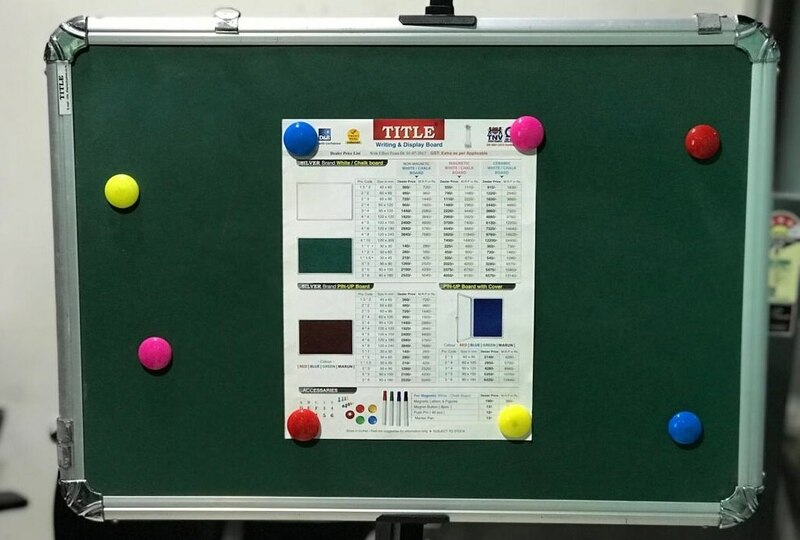 Magnetic Chalk Board Magnetic Material Used. Color is Green. Usage in Schools, Office, Tuition Classes, Educational Institute, Collages, etc.